As a business owner, it's important to set your product prices high enough to cover your production costs, turn a profit, and still remain competitive with other businesses. To accomplish this, you must track your firm's production costs, which include your company's direct costs, such as raw materials, and also any indirect costs, also known as overhead, associated with producing your product. This lays the foundation for your company's product prices. However, if you charged only this price, you would recover your costs but make zero profit. Once you know your total costs, you can determine a profit percentage that makes your operation worthwhile yet still competitive in your product's given market. You can typically trace your direct costs to a particular object, sometimes called a cost object. This might include wholesale-purchased products for resale, the raw materials used to manufacture your own products or the labor associated with the work to produce the product. If your company manufactures furniture, your direct materials would be the wood that goes into making your furniture along with the nails, varnish, and other products used to make furniture. Direct costs often are variable costs. Since variable costs have to do directly with providing your product or service, they increase as your business manufactures and sells more products or provides more services, or they decrease if your business takes a downturn and slows production. If your company produces a widget and hires a production manager to oversee the production of that widget, then the production manager's salary becomes a direct cost. If you own a company that provides a service, such as a carpet cleaning business, and you hire hourly workers employed only to clean carpets, the wages for their labor are considered direct costs. If your company has a supervisor overseeing the manufacturing of a product, her salary stays the same regardless of how much of the product the company makes and sells, so her salary is a fixed, direct cost. Indirect costs affect the entire company, not just one product. They include advertising, depreciation, office supplies, accounting services, and utilities, for example. Indirect costs often are called overhead. Overhead covers all of the ongoing costs of operating a business that isn't directly associated with the making of the product or the offering of the service. Indirect costs can be fixed or variable. Often, they are fixed costs. For example, the rent you pay for your building likely stays the same every month. Sometimes, indirect costs can be variable, such as your electricity or water bill, which may fluctuate monthly. Materials such as tools, cleaning supplies, and office supplies make the operating of the company and the production of its products possible, yet can't be assigned to just one product. These are classified in the accounting system as indirect costs. Many of these costs vary because the materials needed will change with the company's production output. 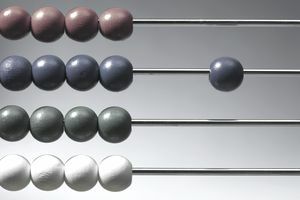 Often an accountant would add all of these overhead costs together, then allocate them out on a per-unit basis to calculate the company's overhead per product. This helps companies ensure they're still making a profit on each unit, even after including all of the overhead costs. This becomes the basis for your product's pricing before you add on your desired profit margin. Labor costs that make the production of a product or products possible but can't be assigned to one particular product also are classified as indirect costs. For example, an indirect labor cost would be the salary of a manager who manages the company's entire production operation and not just one product line, or an employee that manages the administrative offices of the company. Indirect labor costs can be either fixed or variable. If the employee receives a salary that does not change based on production, it falls into the fixed cost category. If, for example, an hourly-paid administrative or accounting employee needs to work more hours during the company's busy season, their time and wages become indirectly driven by increased production which makes them a variable cost. It becomes very important to correctly classify direct and indirect costs so you can determine the firm's profitability, efficiency, and potential areas for cost improvement. It also makes sense to keep track of and correctly classify these costs because overhead can be deducted on the company's tax return. Overhead expenses may be included in a variety of financial statement accounts, from cost of goods sold, selling, general and administrative expenses, to inventory and other categories. Getting these figures right also provides valuable insight and helps improve the operation of the business.